Large mammal species, particularly those with an economic value, have experienced major range reductions during recorded history in Namibia. Plains zebra and lion are examples of species with range reductions of 95% or more over the past 200 years, writes Mike Griffin, Senior Conservation Scientist of the Ministry of Environment and Tourism in a paper entitled “The species diversity, distribution and conservation of Namibian mammals”, published in 1998. Namibia signed the Convention on Biological Diversity in June 1992, and ratified it in March 1997. The current status of knowledge and conservation of Namibia’s biodiversity has been assessed, and information on the country’s mammals is summarised in the paper. It states that other potentially vulnerable large species such as springbok, leopard and gemsbok have apparently not suffered significant range reductions. Still other species, such as greater kudu, have benefited by bush encroachment and the establishment of artificial water sources. The distribution of smaller mammal species has changed little, if at all, during recorded history. According to Griffin, five species of mammals are listed as recently extinct. He continues that it is difficult to say exactly how many mammals have become extinct in Namibia during recorded history. Due to insufficient data on most species, there is only certainty about the extinction within historical times of white rhino, Cape warthog, quagga and yellow-winged bat. The waterbuck may have become extinct within Namibia after 1990. Of Namibia’s existing 250 mammal species, 14 are endemic (that is species of which 75% of their population occurs within Namibia). Of these, 13 are bats, rodents and small carnivores. These species are poorly understood geographically and taxonomically. Namibia’s endemic mammals are distributed along a north-south axis. They are generally restricted to the Namib Desert, pro-Namib transition zone and rocky escarpment. According to Griffin, approximately 50% of all Namibian species are provisionally considered to be of conservation concern. Few Namibian species have been studied sufficiently to allow the assignment of definitive conservation status categories. For example, although 19 species (8%) are assigned to definite threat categories, a further 94 species (38%) are assigned to possible or probable threat categories. Conservation status rankings for the majority of species are entirely provisional, as few data are available for most species. Many species, if not most, would be defined as “data deficient” when using the latest red-data guidelines. The conservation status of all Namibian mammals is now under review, and as an interim measure a list of species with provisional conservation status rankings has been produced. This interim status confers a high level of protection until species are evaluated and placed confidently into categories. In practice, ‘rare’ is not by itself considered a threat category in Namibia. Major threats to mammals in Namibia are invasive aliens, including the risk of genetic pollution, and habitat alteration through land degradation and especially wetland degradation. Namibian mammals, originating as part of the Gondwana fauna, have been present for at least 20 million years. The first modern documented observation of a Namibian mammal was by Hendrik Hop, who saw giraffe in the Houns River at Warmbad Hot Springs in October 1761. A primary entry point into Namibia for explorers and settlers was at the Orange River in the Warmbad environs, which apparently had a wide variety but low populations of large mammals. By the early 1800s, mammal populations in this area had been decimated and today the Warmbad area holds the national record for the most regional extinctions. As a general pattern, vulnerable mammals receded in a northern and eastern direction, leaving the north-eastern region today as the only haven for many species that originally had broad Namibian ranges. This situation is improving gradually as a result of the establishment of commercial and communal conservancies and the black rhino custodian project. Extinct: Taxa definitely not located in the wild in Namibia during the past 50 years, and supported by reasonable evidence that the species is no longer locally extant. Reintroduction from non-Namibian populations does not negate this status. Endangered: Taxa in danger of extinction and whose survival is unlikely if the causal factors continue operating. Included are taxa whose numbers have been reduced to a critical level or whose habitats have been so drastically reduced that they are deemed to be in immediate danger of extinction. Vulnerable: Taxa believed likely to move into the endangered category in the future if present causal factors continue operating. Included are taxa of which all or most of the populations are decreasing because of over-exploitation, intensive destruction of habitat or other environmental disturbance. Taxa with populations which have been seriously depleted and those whose ultimate security is not assured, and taxa with populations that are still abundant but are under threat throughout their range. Rare: Taxa with small populations which are not (thought to be) presently endangered or vulnerable, but which are potentially at risk. These species can be thinly scattered over an extensive range in Namibia. These may be species that are seldom recorded but may be more common than supposed, although there is some indication that their numbers are low. Also includes taxa which have a restricted geographical range in Namibia, have an intermediate endemicity (26% to 74%), and may be locally abundant, but since the taxon’s overall range is very limited, may not be secure. Indeterminate: Taxa that are known to be endangered, vulnerable or rare but for which insufficient information is currently available to assign them to the appropriate category. The predicted category may be given in brackets. Insufficiently known: Taxa that are suspected but not definitely known to belong to any of the above categories, because of insufficient information. The predicted category may be given in brackets. Secure: No special threat status. Taxa with no known local conservation problems and no reason to believe that the conservation status of the taxa will change in the future. A decline in status would, however, indicate a deterioration of the Namibian environment. Endemic: Restricted to or found almost exclusively in Namibia. This category simply states the non-negotiable national obligation to conserve the taxon. No conservation “problems” are implied. Endemic in this context includes all taxa with 75% or more of the entire taxon’s population residing in Namibia. In the case of smaller terrestrial vertebrates, estimates are based on proportions of geographic range/required habitat, and this is assumed to roughly correspond to proportions of the taxon’s entire population. The estimated rate of endemicity is given in brackets. Peripheral: Taxa with a limited proportion of their distribution in Namibia (25% or less) and whose main distribution falls outside the political boundaries of the country. In addition, the Namibian population could be, or is known to be, threatened and the status should be monitored. Namibia is not the sole guardian and the local loss would not necessarily result in the extinction of the taxa, but would reflect deterioration of the Namibian environment, and could effect the taxon’s overall conservation status. Includes taxa with very limited overall distributions (and are therefore vulnerable, because of localised catastrophic events), taxa with very specific (and vulnerable) habitat requirements, and taxa of international concern for any reasons (cetaceans and marine turtles). Often used as an additional information suffix to a threatened category. 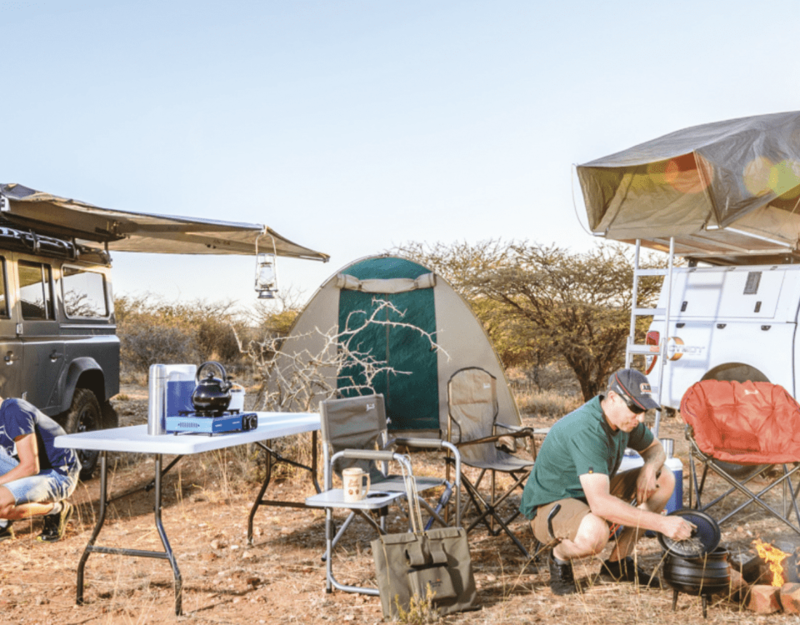 Refers to established or transitory populations, as opposed to vagrants, which refers to odd individuals of mobile species, for which Namibia would have a minimal amount of conservation responsibility. Status provisional: Qualifier suffix attached to conservation-status categories, indicating inadequate information on the taxon’s taxonomic and or biogeographical status. Further information could (in many cases would) change the species’ conservation-status ranking. The factor in question is given in brackets. Not yet confirmed to occur: Taxa that have been previously recorded, but not confirmed. There may be some question as to the accuracy of the original record. A quarter of a century’s work to establish the conservation status of every mammal, reptile and amphibian species in Namibia is nearing completion. The information will soon be compiled in the first “red data” books of the country. Red data is a term that was introduced a few decades ago in reference to endangered and threatened animals. According to Griffin, the IUCN recently provided guidelines for the assessment of national conservation status of animals to be compiled in red-data books. The idea is that every country in the world carries out a similar evaluative assessment of their species so that the national conservation status of animals is established. Griffin says that, for example, leopard and cheetah have been listed as critically endangered in international Red Data Books compiled by the IUCN, while they are hardly endangered in Namibia. One big advantage of compiling the information in red-data books is that this will outline Namibia’s obligation regarding the conservation of those species whose ranges are shared with other countries. In the case of endemic species, the conservation obligation is entirely up to Namibia. These species automatically have a higher conservation status, as the country has a non-negotiable national obligation to conserve them. For the past 25 years Griffin has been working on defining and documenting the conservation statuses of 240 indigenous species of mammals, 250 species of reptiles and 50 species of frogs. Although information from other research projects is being used, there is little information available on most animals. Most species (including those provisionally assessed as ‘secured’) would be defined as ‘data deficient’ in the latest IUCN Red Data guidelines. Species in this category require a high degree of protection until the species can be assigned with confidence to a definite category. As more information becomes available on various species, the information of provisional conservation statuses has to be continually revised. The document containing the provisional conservation status of species was revised for the eighth time in 1999. Once the red-data books are published, they will be updated on a regular basis. Information for a red-data book on the 600 bird species in the country is being compiled by Rob Simmons, Senior Conservation Scientist of the National Biodiversity Programme, MET. Namibia’s red-data books will differ from others by the listing of species that are not traditionally included. “Even the common house mouse will be listed in the book,” he explains. The conservation statuses are being compiled by looking at three aspects, namely the taxonomy (classification of species), the biogeography (where they occur in Africa and Namibia) and the population trends (if numbers are increasing or declining). Of the 50 frog species in Namibia, six are endangered. According to Griffin there is special concern about the Desert Rain Frog that occurs in the Sperrgebiet on dunes where diamond mining is taking place. Of the 15 endemic mammal species, none is listed as endangered. There is enormous concern, however, about the wild dog, as they are critically endangered in Namibia. “It should be a high priority to conserve them.” Of the reptiles, tortoises are the major concern. “As a group they have the biggest problems,” says Griffin. All six endemic tortoises are listed as vulnerable. In certain areas even crocodiles are vulnerable because they are killed and their eggs are collected. Few species are known well enough for definite conservation status rankings to be assigned to them with any degree of confidence. This article appeared in the 2002 edition of Conservation and the Environment in Namibia.